If you haven't guessed by now, I'm a huge sci-fi fan, and a huge fan of Ridley Scott. Here's a pulp cover I have had in the works off and on for a while now. 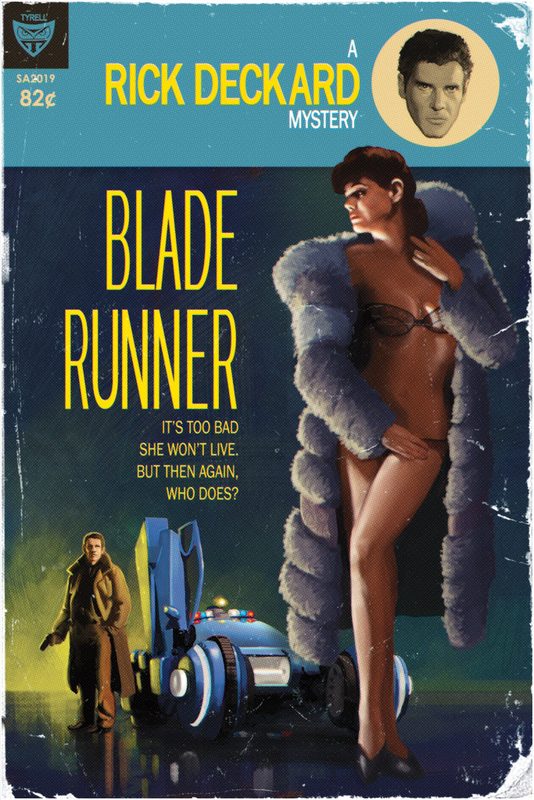 I was inspired by the detective pulp covers of Robert McGinnis. 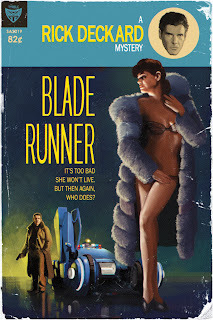 If ever there was a sci-fi movie that lent itself well to a detective pulp cover, it's Blade Runner. Fantastic! Love your pulp covers. Keep'em coming! These are fabulous! Love the concept and brilliantly executed! I might be interested in a print, but do you ship to Europe??? These are fantastic. I'll definitely order a print should you see fit to pulpify Texas Chainsaw Massacre or A Nightmare on Elm Street. Brilliant! You managed to combine my 2 favorite genres. Nicely done dude, very sophisticated! This was my favourite. Nice.